Capture the firebird! 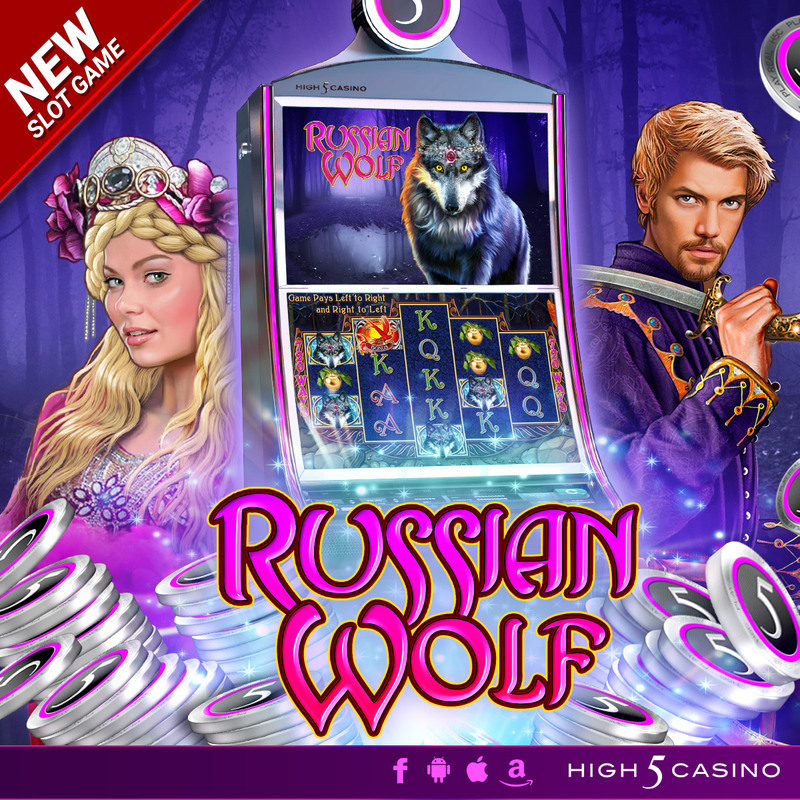 High 5 Casino’s 226th game, Russian Wolf, arrives soon! Follow Ivan and the gray wolf while they search for the Firebird who keeps stealing golden apples from the kingdom’s magnificent orchard. Along the journey, become infatuated by Princess Elena. Catch the bonus Firebird’s golden feather tail three times or more to become the heir of the Thrice Tenth Kingdom in Russian Wolf! 3-4-5-4-3 reel matrix. 720 Ways to Win. Jackpots. Check the YouTube video below and get ready to take a journey with the prince and the gray wolf! Are you ready to help capture the thief in Russian Wolf? Comment in the conversation bubble located on the top right corner of your screen and let us know what you think! February High 5 Moments at H5C! Hey High 5-ers! 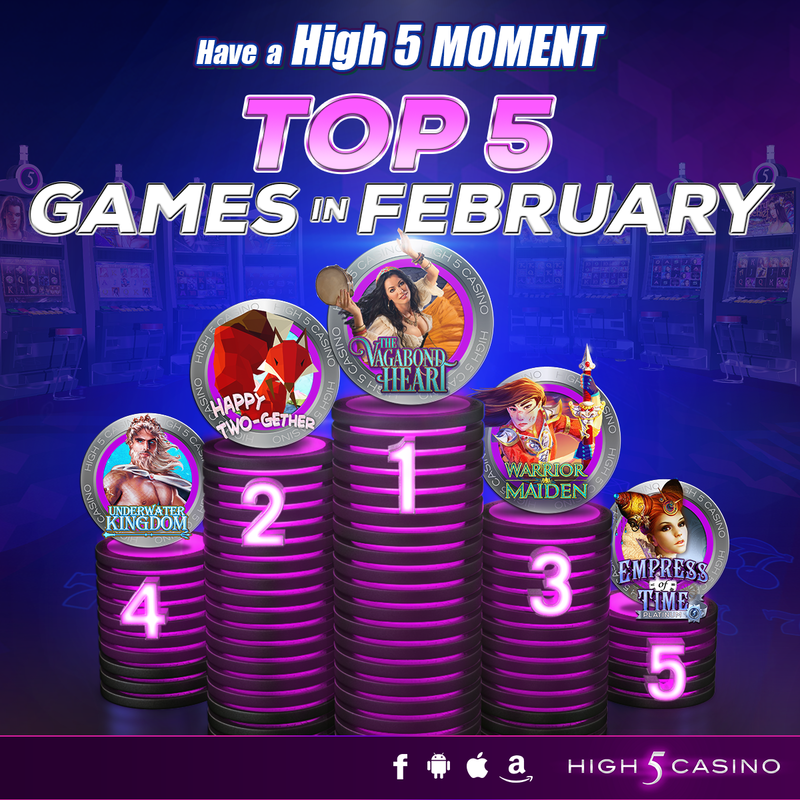 February was a busy month for High 5 Casino! 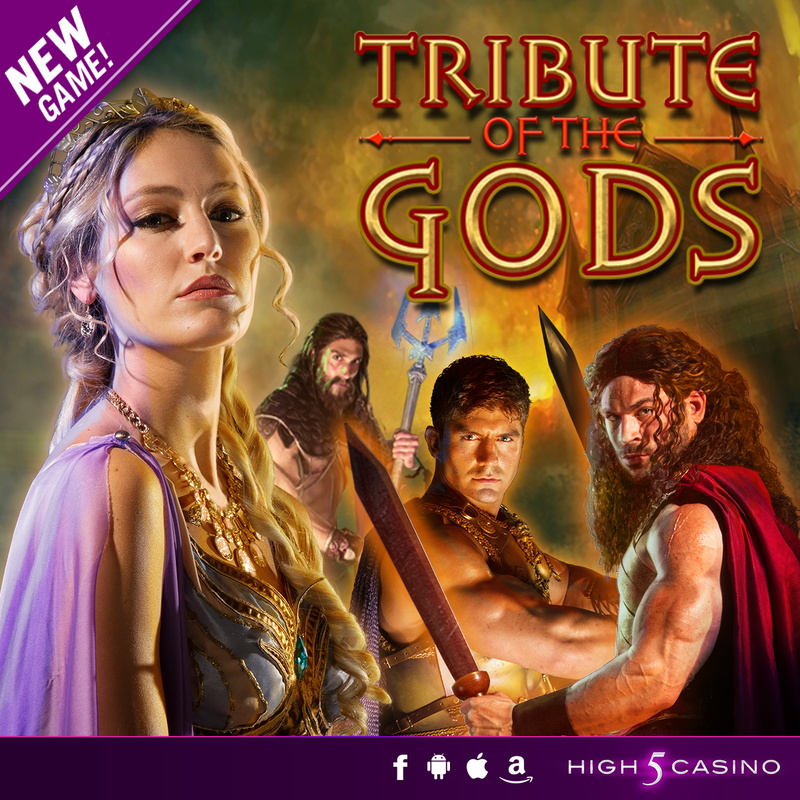 We launched four new games, Warrior Maiden, Happy Two-Gether, The Vagabond Heart and Underwater Kingdom. 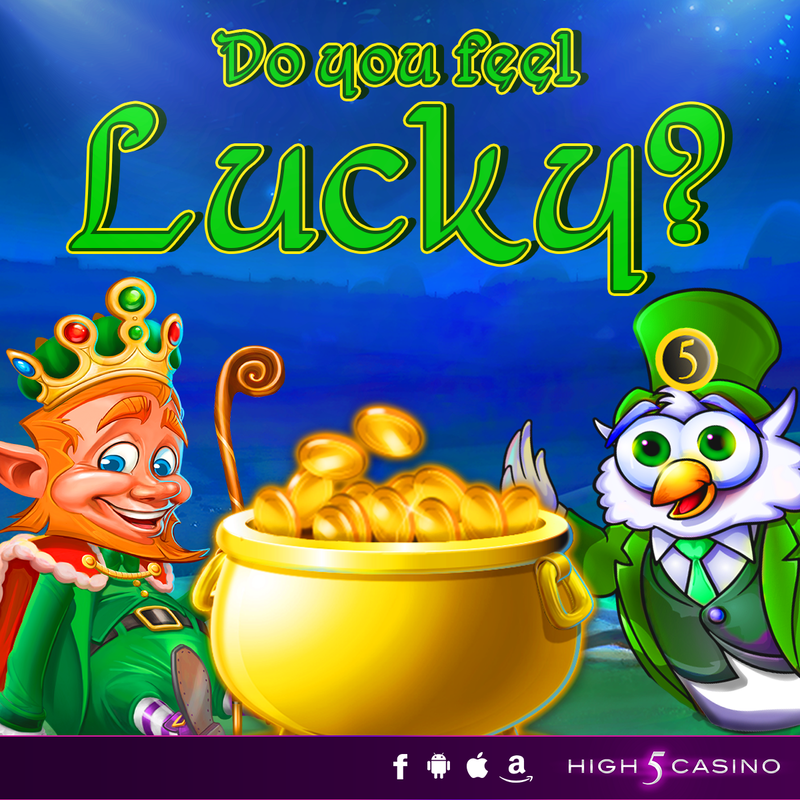 Offered 24 hours of Mega Jackpots, where players had the chance to win 5x more than the base value for their minor, major and grand Jackpot wins. Players were invited to enter H5C’s I Love my Valentine Contest and 100 lucky players won 200K coins! We also updated our new Tournament lobby with new games that offer bigger prizes and debuted CHICAGO The Musical as a Free Tournament! With February being the shortest month of the year High 5-ers took advantage of all the new games and features by spinning our reels 77,551,453 times a day! Yes, 77,551,453 times each day! How awesome is that? While we’re looking forward to showing you guys what March has in-store, check out how awesome you guys made our February with more High 5 Moments below! Top 5 most played games for February: The Vagabond Heart, Happy Two-gether, Warrior Maiden, Underwater Kingdom and Empress Of Time VIP! What was your favorite game this February? Which game gave you your High 5 Moment? Comment in the conversation bubble located on the top right corner of your screen and let us know!